Field Service Agreements are used to automatically schedule work orders and invoices based on a set occurrence(s). These agreements are most commonly used for preventative maintenance type of work. For example, if you are a floor polish company, a routine floor maintenance agreement can be setup for a customer on a yearly basis. In this blog post, we will just focus on the auto generation of Work Orders. The Agreement record is where customer information such as Billing Account, Start and End Date, Price List, etc. is defined. The duration is automatically calculated based on the Start and End Date. All agreements start with a system status of ‘Estimate‘ and move to ‘Active‘ once the Agreement is setup. This is where we define what activity we are performing and how often it needs to be performed. If we would like to generate the work orders 15 days in advance, this gives us the flexibility to work with a customer’s schedule. In the example below (in the work order settings section), we have set the attributes based on the earlier requirements. The next step is to define how often the Work Order should auto generate, this is completed by setting up a Booking Recurrence. In this example below, we have set a yearly Recurrence Pattern for April 1. As you can see, there is a lot of flexibility in setting a Recurrences Pattern. The final step is to create an Agreement Booking Incident. This is where we define specifically what to do, such as a Work Order – an incident is chosen and will be populated on all auto generated Work Orders. If you are performing preventative maintenance on a specific piece of equipment (Customer Asset), this can be defined and will allow the Work Order to tie back to the Asset. Finally, the Agreement can be activated. Upon activation, the Agreement Booking Date will be created. The status of the Booking date is Active and once the predefined date is met, a Work Order is generated and the status changes to Processed. If you are interested in finding more about Field Service and Dynamics 365, please search our blog and follow us on social media. Consider a transport company that offers clients delivery services to different addresses and prices that vary based on size, weight, and preferred method of delivery. Or a company that provides IT support services committed to be delivered on predefined schedule. In both cases there is an agreement or service contract, a document that sets out the different type of goods and services, when and what will be delivered and in what price. 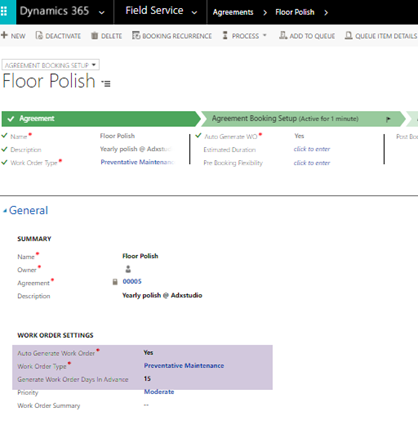 The contract document is stored in SharePoint to allow management, operations team, and sales-people, access to view its content, follow approval process, track its version history and movement between one person to another, and add comments related to its content, during the contract term. 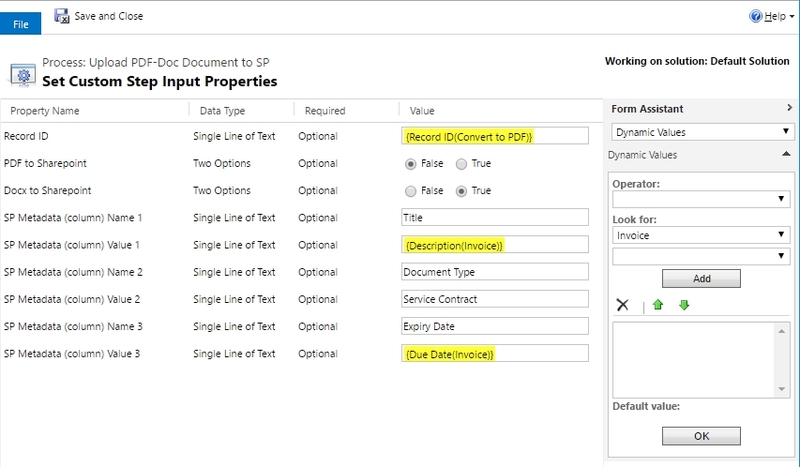 Although Dynamics CRM and SharePoint are on two different platforms, the synergy between them is highly complementary if a document uploaded from CRM to SharePoint is stored (tagged) with the structured data available in Dynamics CRM. Tagging documents with metadata in a SharePoint document library provides the flexibility to display multiple library views based on the different needs of users. The values stored in the document column can be used to trigger SharePoint workflows. Good example is a workflow that waits till the expiry date of a contract or price agreement, and then it sends an Email to sales team to follow up contact renewal or price review. You can run one automated business process starting with CRM Workflow, which is then taken over by SharePoint Workflow, a process that can repeat itself, from SharePoint to trigger another CRM Workflow, to accomplish all business tasks required to be completed during the lifetime of the document. Create predefined template of invoice, quote, service contract or any other business document, which is populated with data from CRM records. 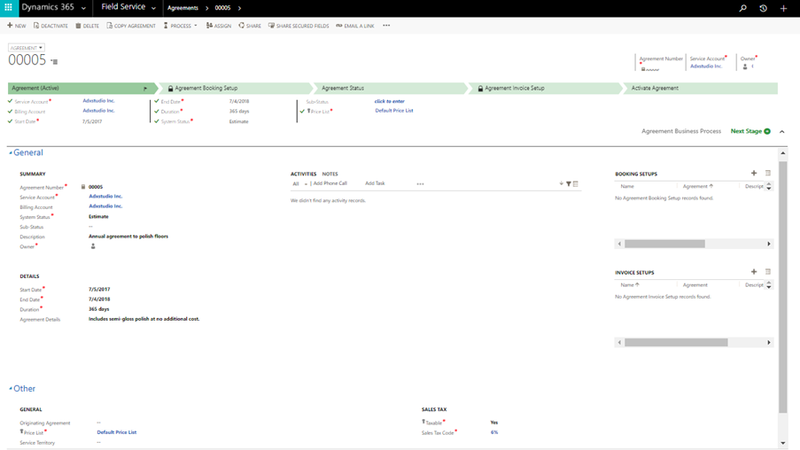 With Dynamics PDF-Docs users can schedule a workflow to email Word document generated in CRM 2016 and Dynamics 365, as an attachment to an Email. With the release of PDF-Docs version 2, you can now upload the document as PDF or Word format to SharePoint, and tag it with fields from the record in CRM. The workflow has three steps. The first step- “SetWordTemplate” a Word document is generated with fields from the CRM record inserted in the document. The second step “Add Word Template” converts the created Word document to PDF. The last step is to upload to SharePoint. In the Properties of this step, we can select if the document to upload is in Word or PDF format, and we can set up to three columns as a combination of Column Name and Value. 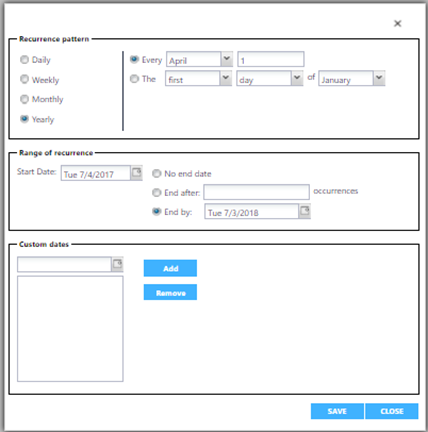 The value can be static like “Service Contract” which is an option from available list or dynamic like date, description and any other CRM attribute. The end result is a document uploaded to SharePoint with the corresponding fields from CRM record associated with this document. An automated process to upload documents and populate columns with fix and dynamic values from CRM records. Searching for documents, based on values stored in the column of the list, in this example in the title field, makes it easier to locate a document. The Expiry Date can be used to trigger a workflow to send an Email or create task, when expiry date is due. The “Document Type” column can serve to build Views to filter documents based on type. Alcatel-Lucent has signed comprehensive framework agreements with China Mobile and China Unicom. According to the agreements, Alcatel-Lucent will support the transformation of the two carriers and help them build faster and more cost-effective nationwide mobile and fixed broadband networks. The annual agreement signed between Alcatel-Lucent and China Mobile is valued at CNY4.53 billion, which is about EUR656 million; and the one signed with China Unicom is valued at CNY3.59 billion, which is about EUR520 million. Basing on the agreements, Alcatel-Lucent will provide them with mobile and fixed super broadband access, IP router, and Agile Optical Networking solutions. The company will also offer NFV and SDN technologies. With the deployment of those technologies and solutions, China Mobile and China Unicom can better promote the “Broadband China” strategy. According to planning, the “Broadband China” strategy will realize full broadband coverage in Chinese towns and villages. By signing the framework agreements with China’s two major telecom carriers, Alcatel-Lucent has become an important technical supplier during the implementation of “Broadband China” strategy.